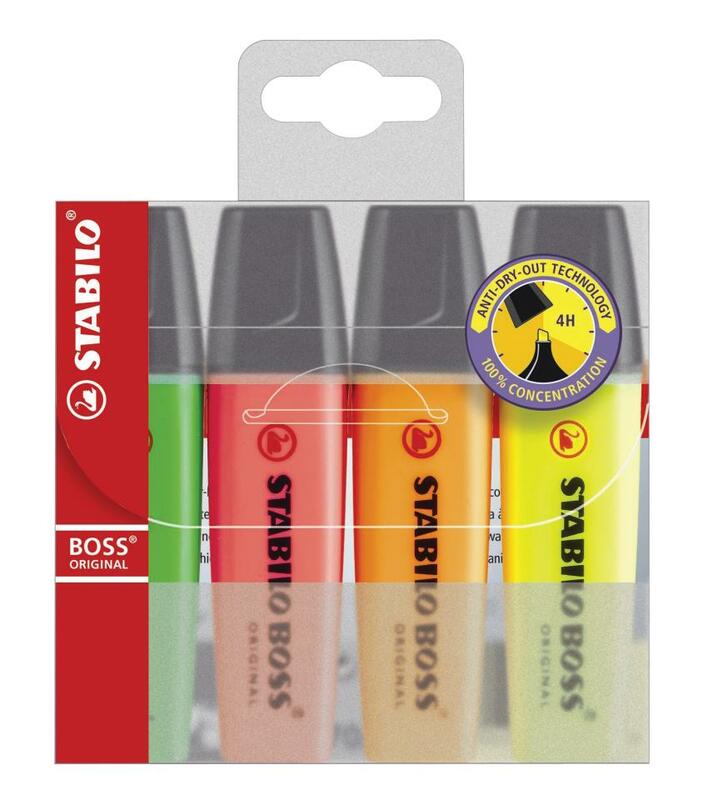 Stabilo® Anti-Dry-Out Technology for up to 4 hours cap-off time. Water-based pigment ink for lasting colours. Highlights for approximately 375m. Slanted tip for 2 line widths 2.0-5.0mm. Available in 9 brilliant colours. Assorted set of 4 consists of green, red, orange and yellow.